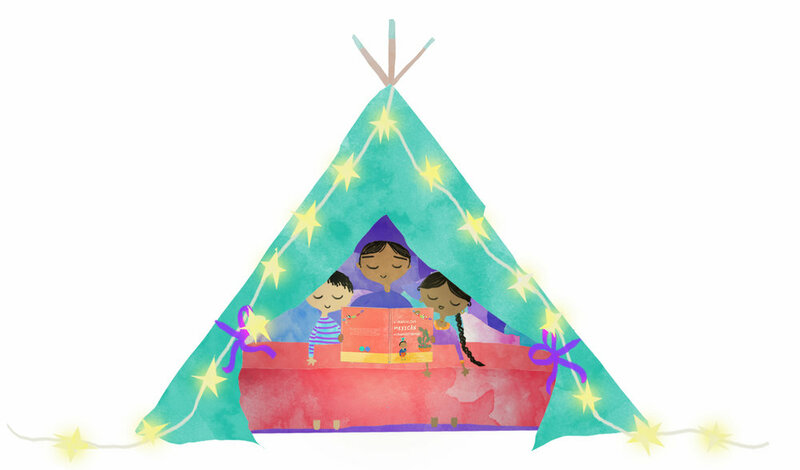 From color-bursting illustrations and culturally rich content on Mexico and the Day of the Dead, here are six reasons why every child needs to read this picture book this fall! Here are five reasons why you’ll want to cuddle and snuggle with this axolotl and never let go! Our social media feeds are bursting with heart-shaped ads, the window displays are full of heart-shaped objects, even our coffees are sprinkled with heart-shaped cocoa powder. Yup. Valentine's Day is coming up. But what does it mean for the little ones around the world, we wondered. How do they understand love? How can you show and explain love to them? And after some serious thinking and a few coffees drizzled with heart-shaped cocoa powder later, we came to a conclusion. The best way, we decided, is taking a step away from your daily life, and taking the time and energy to connect with your little ones in meaningful ways. 1) Love is throwing them the most magical sleepover they will ever have, by letting them sleep in your bed, and bringing along ten stuffed animals. And you can make it even more exciting by extending a formal invitation. Yes, that’s right. Kids always appreciate a grownup’s ability to devise a perfectly plausible letter that is based on make-belief. Get 11 pieces of paper (one for your child, and one for each plush toy), grab your silliest-looking pen for inspiration and start writing. The cuter and the more imaginative the content, the better. Use language like “do’s” and “don’ts”, what they need to bring with them, the rules of the sleepover and accompany them with the most ridiculous examples that come to mind. 2) Love is creating a custom-made treasure hunt around the house for your little ones. And you don’t even need to get new things for it! Just gather their favorite objects, find hiding spots around the house, and write clever, witty riddles related to stuff they can identify with, yet will push them to think outside the box. 3) Love is teaching them how to write “I LOVE YOU” in lots of different languages - their choice! Here we’ll start you off with some: Te amo, Je t’aime, Wo Ai Nu, Naku Penda, S’agapo… now your turn. You can even teach them in sign language. 4) Love is taking the time to make heart-shaped objects from anything and everything, in the most creative and thoughtful ways. This can be out of whatever comes to mind or whatever you spot in the way. Cookies, foil, paper, clips, paint, straw, play-dough… the list is endless. And if you want, stick them all together on a piece of paper and even frame them to make the perfect “I love you” picture for their bedroom wall. TA-DA! 5) Love is recreating the perfect camping experience, reading books, sipping hot cocoa, cuddling and giggling with all your heart. Cold? Who said that is has to be outdoors? All you need is a tent that you can set up inside, or better yet, a set of sheets and some fluffy pillows. Hang the sheets from an object on the wall, place the pillows on the floor and bring all the necessary gear to reinvent the coziest camping tent ever created: blankets, stories to get lost in, hot cocoa, tea and nibbles to indulge in, board games to play, toys and teddy bears to cuddle with… and any other favorite activity that will bring smiles and laughter. 6) Love is waking your children up at 5am in the morning, finding the most unassuming and magical spot around your neighborhood, and taking them to experience their first sunrise. All you need for this one is your energy. Extra points to whoever manages to keep it a secret, wake them up and build anticipation around it, just saying that “you’ll go somewhere special”. Make sure you're prepared to give them the ins and outs of sunrises and sunsets, explain the sun's journey during a day and during a year, and answer any peculiar questions that they'll have - we all know that there will be plenty of those! 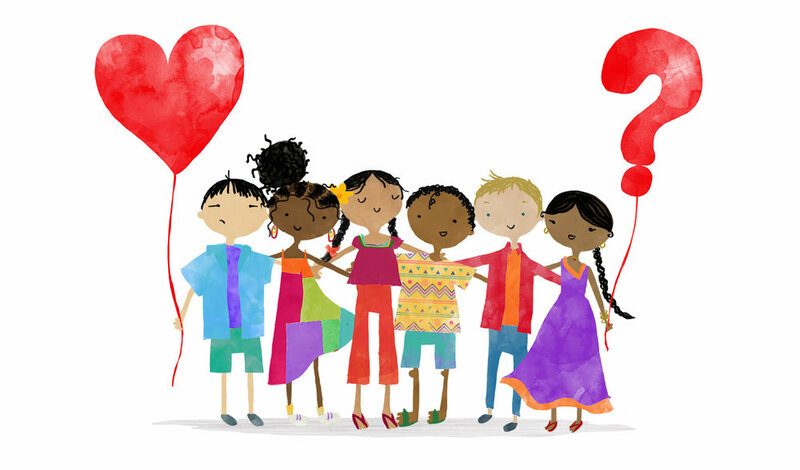 7) Love is asking your little ones: “tell me something you’d like to learn about” and then devising a fun, interactive way to teach them. Because that's always the best way to get children engaged and the most effective way to remember what they've learned. Are they asking about solids and liquids? Take them for a little demo to the kitchen. 8) Love is telling them the adorable little story of “Why love is blind and madness always accompanies it” that we absolutely… well, you know what we’re going to say! You can find a nicely written version of the story here. And if you want to go the extra mile, you can ask them to name more virtues and vices that are not mentioned in the story, and ask them to tell you where they think they would hide. 9) Love is taking them for a picnic in the park - because in the history of food, any picnic meal is better than a table meal. Just make sure to gather their favorite snacks, include them in the preparation process and take an extra blanket to tuck up. 10) Love is asking them to tell you in a few words, what they think love is. And to show you our love in return, we will draw it and send it as a print for you! Just send us their answer here! It's the most festive time of the year, and it's time to couple it with an all-time favorite passtime. Crafts and shenanigans! Turn our Worldwide Christmas Snapshot into fun, festive activities and introduce your little ones to Christmas delights from around the world with these two easy DIY activities. 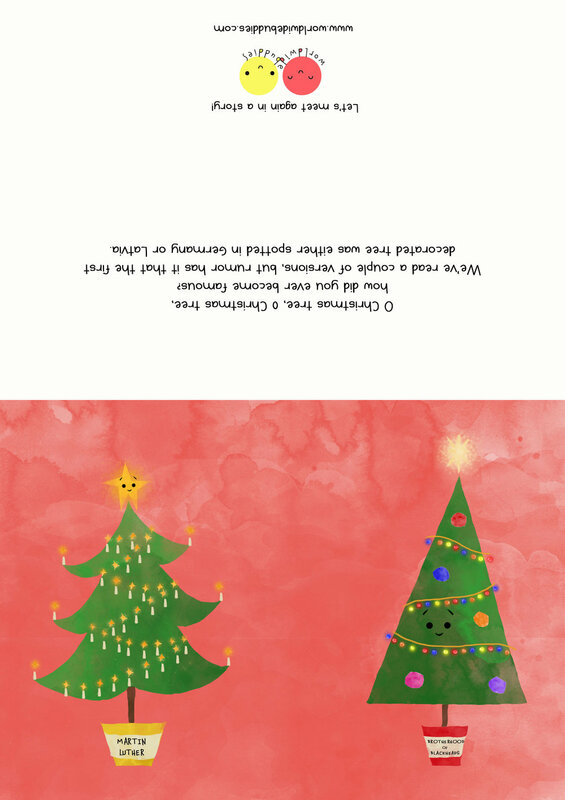 Send love and wishes to your loved ones with our easy-to-print cards, or make your own Worldwide Christmas pop-up map to decorate the house. This one is for all the last minute Santa helpers out there. Rushing to complete that long Christmas list and things aren't looking that shiny and bright? Well, now you've got one less thing to worry about. 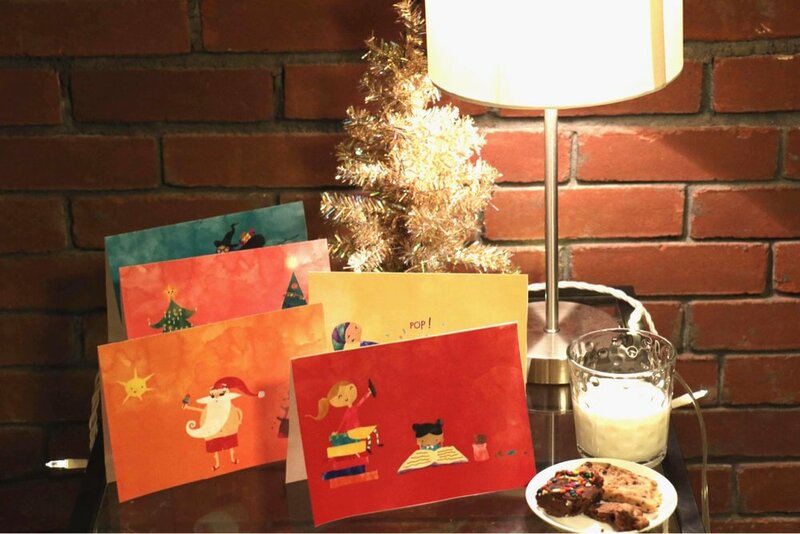 Our lovingly-made Christmas cards have come to the rescue. All you need is A4 cardstock, a pair of scissors, your color printer, and lots of nice words to write! Click on the cards you like, save them on your computer and color print them on cardstock. Fold the cardstock into two and cut the white margin. Fill the cards with your most loving, randomly bizarre, funny, warm and wonderful wishes to guarantee smiles all around. Build a pop-up map of the world and its Christmas customs and help your little ones familiarize themselves with different countries and continents in a simple and entertaining way. 1. Click, save and color print the map below on A3 cardstock. 2. Stick it on A3 chipboard pad, or a thicker cardboard that can act as a solid base. 3. Click, save and color print the icons below on A4 cardstock. 4. Cut them around the lines indicated (so that each cutout includes both the icon and country name), and then fold each icon on the straight line that separates the icon from the country name. 5. Position each one on the right place on the map. Gently apply glue on the section with the name of the country and stick it on the map so that the icon is standing upright. 6. Spot a lonely surface. Place it there to help spread some Christmas magic around the house! Once you're done, don't forget to take a moment to admire your creations over delicious cookies and a glass of milk - just like any Santa's helper would! And if you want the world to admire them too, we can help you. Take a picture of them and tag us @worldwidebuddies or send us an email. We'll do the rest.